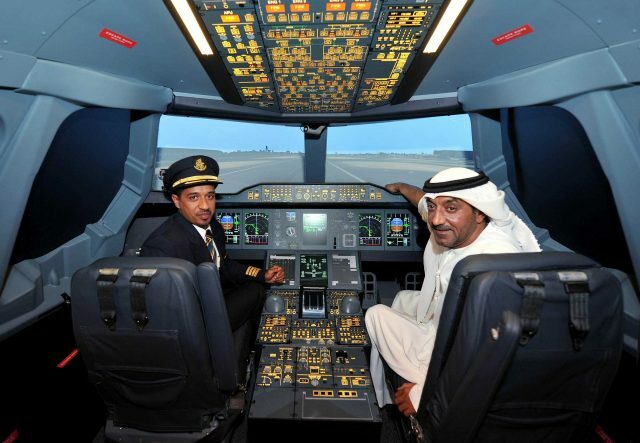 Home GCC Countries UAE You can now fly an Emirates A380 in Dubai! Have you ever fancied flying an airplane? Here is your chance to experience how a passenger aircraft is operated. The Emirates A380 Experience will allow you to pilot an Emirates Airbus A380 aircraft with the help of a hi-tech flight simulator at The Dubai Mall. Sam, a trainee flight dispatcher, recently explained how to operate the aircraft with the help of a simulator, reports Whatson website. According to Sam, the simulator is as popular with retired pilots as it is with aviation geeks and tourists who would like to experience the thrill of piloting a plane.